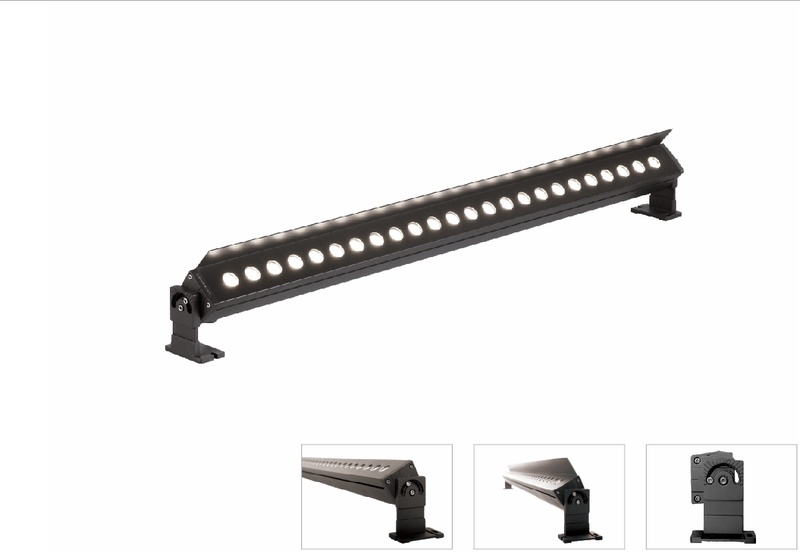 Blade 450B series is one compact and multi-functional LED wall washer wit waterproof structure, IP67 housing made of high quality extruded aluminum alloy in durable corrosion resistance, anti-fading and anti-scratch electrostatic powder coated finish. Imported high efficacy SMD LED light source ensure great consistency of the CCT. The blade series included surface mounted and recessed type, also with anti-glare option.DMX512 can be used for control programming. Applications: Outdoor facades, Architectural landscaping etc.